Portimão attracts very few tourists, at least when compared to the nearby towns of Praia da Rocha, Alvor, and Lagos. The reason being is that Portimão isn’t as immediately appealing as some of the other towns on the Algarve, particularly the city centre. It also doesn’t have a beach within walking distance: the nearest beaches, Praia da Vau and Praia da Rocha, are 2-3 km away. There’s a lot to love about Portimão, though. 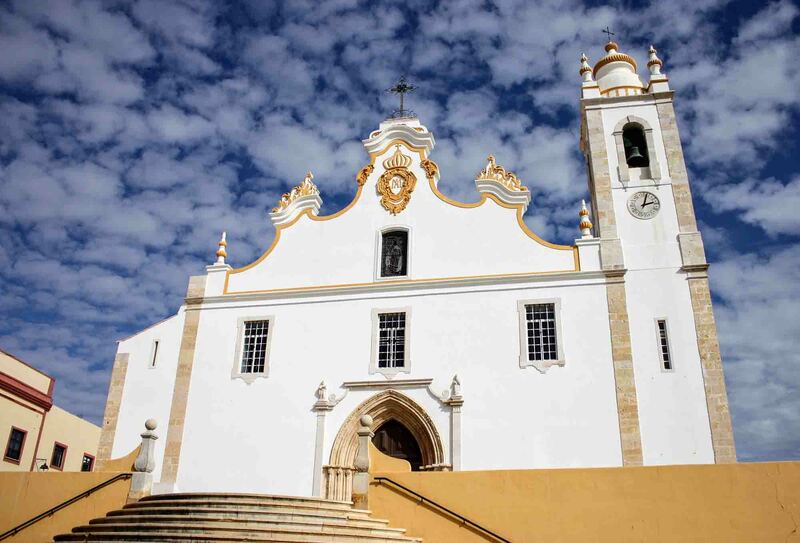 In comparison to other towns in the Algarve, it’s relatively untouched by tourism and much more authentically Portuguese. The riverfront area is also great for walking along, and Portimão has a fantastic sardine festival in the summer. 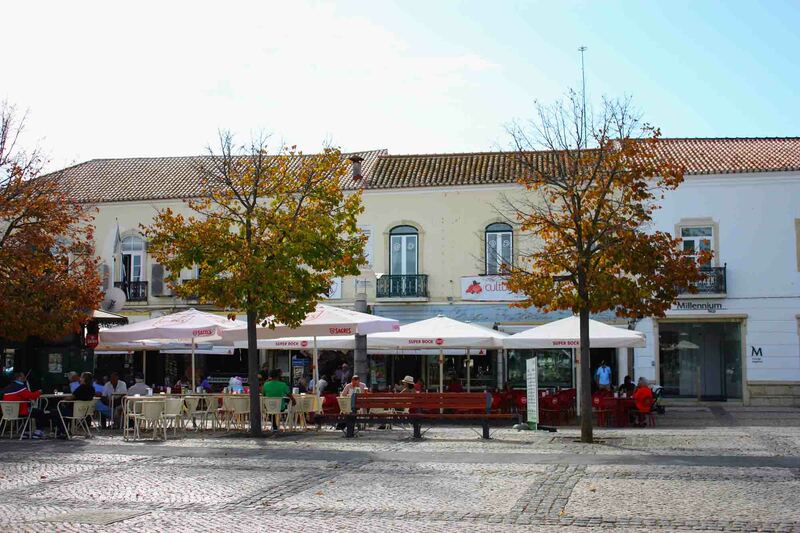 It also has a fantastic market (the fish section is especially great), is in an ideal location for exploring both the Western and Central Algarve, and it’s on the train line which makes it easy to get to other towns like Lagos, Faro, and Tavira, as well as other cities in Portugal like Lisbon and Porto. Bus services are frequent too, and it’s easy to get to other parts of the Algarve, including the West Coast, as well as onto other parts of Portugal. It’s also a good place to live, if you’re thinking of spending a few months (or even longer) on the Algarve. Many of the towns on the coast are ghost towns in the winter months, but Portimão, because it isn’t so built around the tourist trade, keeps on going. It also has plenty of shops, services, and other amenities that tourist-focused towns don’t have. Villa Rio Guest House Suites – Boutique guesthouse with stylish bedrooms, an outdoor terrace, and a swimming pool. City Stork Hostel – Modern hostel with dormitory and private bedrooms, as well as essential features like free wifi, a shared kitchen, and a roof terrace. Apartment Portimão Old Town – Comfortable 2 and 3-bedroom apartments situated in Portimão’s old town, and within easy reach of museums, restaurants, and Portimão Marina. Many websites list Portimão and Praia da Rocha together and, although Praia da Rocha is part of Portimão and extremely close, the two couldn’t be more different. Praia da Rocha is a town that sprung up around the beach to cater to the growing tourist trade. It’s made up of souvenir shops, cocktail bars, and high-rise hotel blocks. It peaks during the summer months, and is a bit of a ghost town in the winter. Portimão on the other hand is a small, functional city. It’s not as picturesque as some of the towns on the Algarve, but it has a lot of useful amenities and services – everything from shopping malls to hospitals. Portimão is easy to get to from most of Portugal, thanks to its large bus and train stops. Airport transfer: There are several airport transfer companies at Faro Airport (like Welcome Pickups) that will take you from Faro Airport to your accommodation in Portimão and, unless you’re renting a car or are travelling on a budget, that’s usually the easiest way to get there. Rental car: Having a car is always an asset on the Algarve, as getting around by public transport and taxis isn’t always easy – especially when it comes to beaches. The drive from Faro Airport to Portimão is incredibly easy, and takes less than an hour on the A22 toll road (see: hiring a car at Faro Airport). Taxi (or Uber): Taxis are available from Faro Airport to Portimão, and Uber is increasingly available as well. Generally the costs run higher than a pre-booked airport transfer, but it’s a good option if you haven’t booked ahead. Public transport: There is only one direct bus (in the evening) between Faro Airport and Portimão, which can be booked through rede-expressos.pt. Normally, though, you’ll need to take the airport bus (bus #16) or a taxi into Faro, and then take either the bus or train from Faro to Portimão (see below). Bus: There are direct buses between Faro and Portimão. Tickets can be bought on Eva-bus.com. Train: The train runs from Faro to Portimão. Tickets can be bought on cp.pt and discounts are available if you book in advance (more information here). Train: Trains to Portimão are available from all over Portugal, including from Lisbon and Porto. Discounts are available if you book in advance (more information here). Bus: Buses are also available between Portimão and other cities in Portugal and Spain. Tickets can be booked through rede-expressos.pt.